Immediately, I noticed something unusual. This was called Munchkin Treasure Hunt, and it was a Munchkin-themed game…for kids! 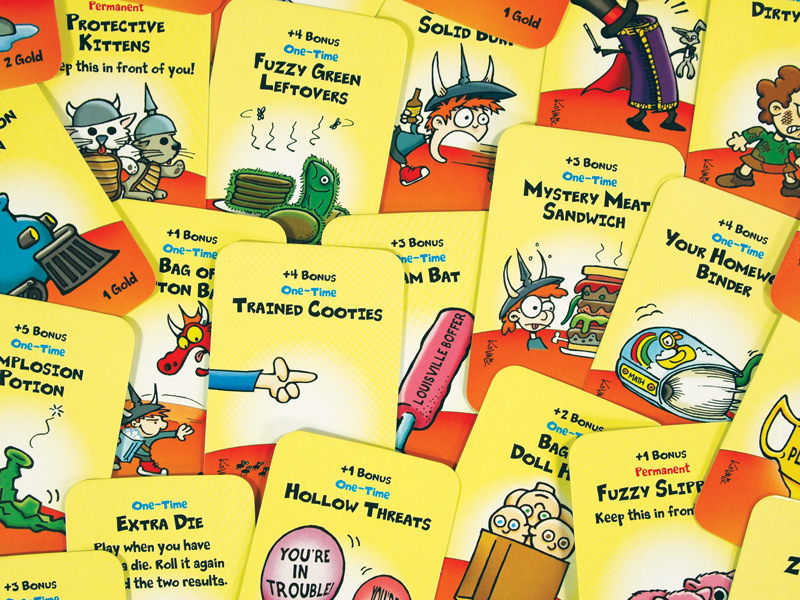 Partnering with Toys ‘R’ Us, Steve Jackson Games would develop a brand-new Munchkin-esque board game, for ages 6 and up. Obviously, as the parent of a 5-yar-old, this was in my wheelhouse of interest. I’d blogged about kids’ games before, and there are other kids’ games I’ll be blogging about in the future. But now, I was gonna illustrate one, myself. All the Monsters! So Monster! Wow! The kids on the cover – we call them “Spyke Jr.” and “Florette” – were the first drawings I tackled. I wanted them to be having fun. Similarly, I specifically wanted the dragon to look worried – not menacing. “Why is he so angry” is a question my daughter frequently asks, when we’re drawing together, and I’m scribbling something for Munchkin. I didn’t want that, here. The cover needed to convey that the kids are in the clear – ain’t no party like a dungeon-clearing party, cause a dungeon-clearing party is FUN! The Dragon would have gotten away with it too, if it hadn’t been for THOSE MEDDLING KIDS! And of course, there had to be a duck. 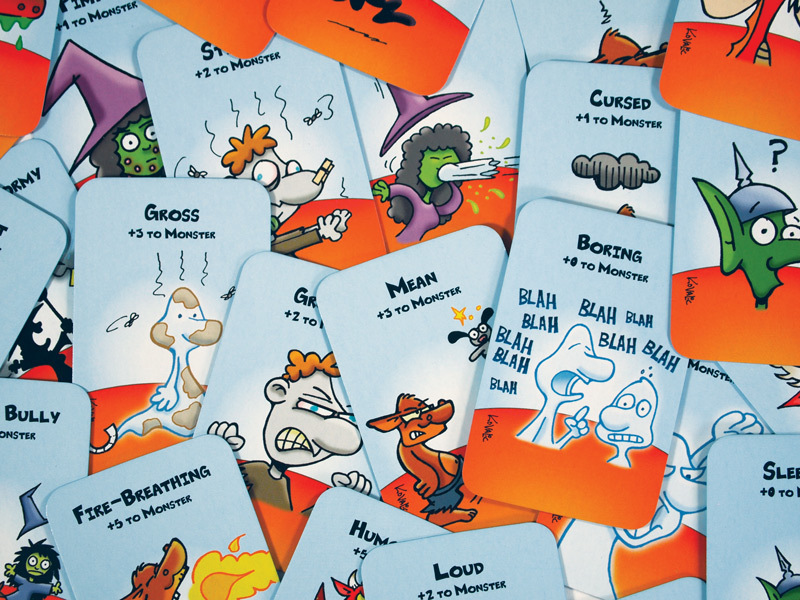 The cards are smaller than regular Munchkin cards, so I decided to draw the original artwork smaller, as well, to get the line quality I wanted. Also, I didn’t want to over-complicate the illustrations – heck, there was no room for over-complication. 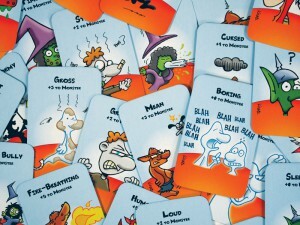 I draw a regular Munchkin card on 6′ wide by 7′ tall Bristol board. I drew Munchkin Treasure Hunt cards half that size. All the Treasure! So Treasure! Wow! Holding the finished game in my hands (did I mention MUNCHKIN TREASURE HUNT IS OUT NOW? ), I know the decision to draw small was the correct one. 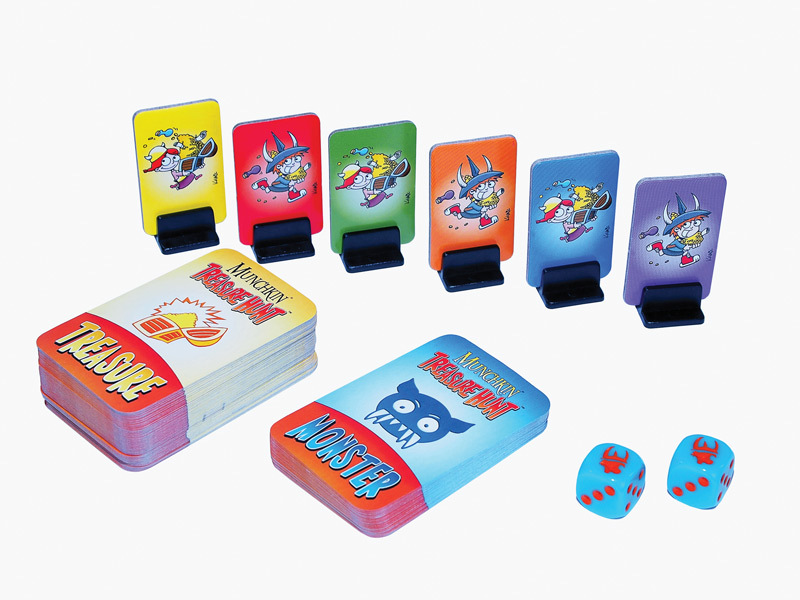 Small hands need small cards! 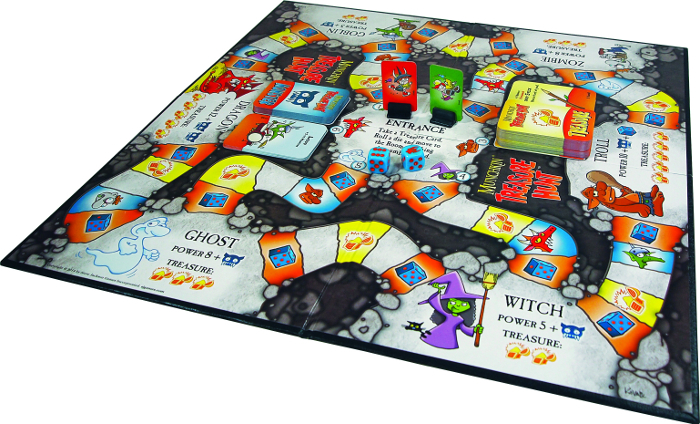 Munchkin Treasure Hunt features six monsters: the Dragon, the Ghost, the Goblin, the Troll, the Witch and the Zombie. These were all drawn larger, and afforded more detail and line variation. I think the gobbo’s become my favorite, and he’ll probably be how all goblins in Munchkin look from now on. 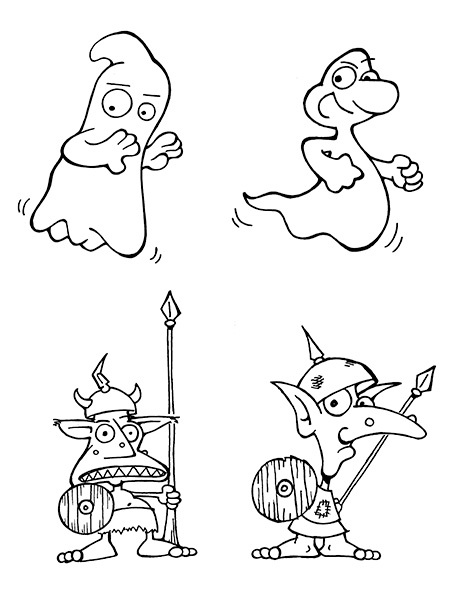 Early (left) and final (right) versions of the Ghost and the Goblin. Going from initial monster concept to final versions took about a week. 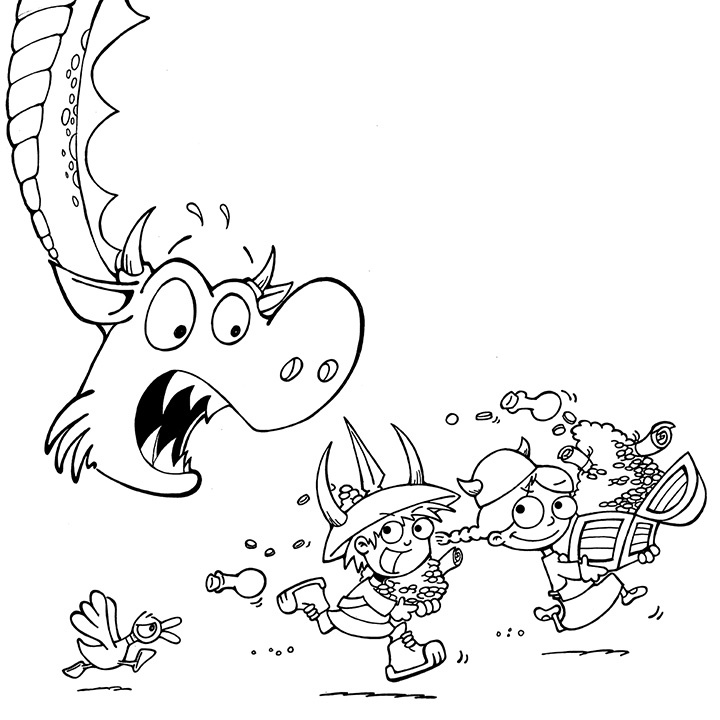 I really enjoy the character development aspect of Munchkin illustration – particularly when you look back and see how far a character has come from your very earliest sketches. 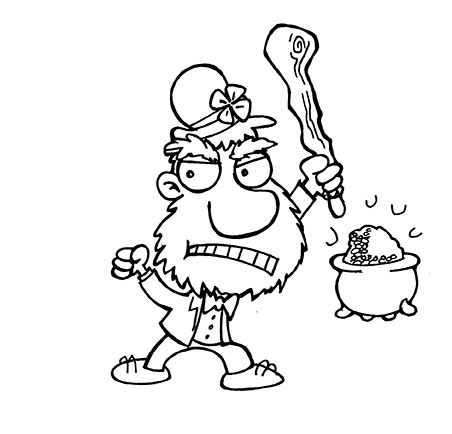 There was also going to be a Leprechaun, at one stage, but Andrew decided a Troll would be more fun. So now the Leprechaun is off in whatever land it is that Game-Cards-That-Didn’t-Make-It characters play, frolicking with the Orange from Apples to Apples (long story. Don’t ask). 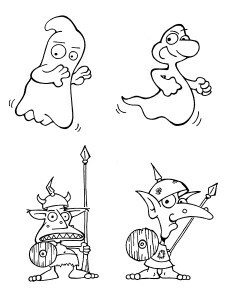 As usual, Steve Jackson Games’ art department did a sensational job on my silly little scribblings. Working with them is a real treat. Good grief, the Treasure Hunt game board alone looks amazing. PRIMARY COLORS! +5 to combat! 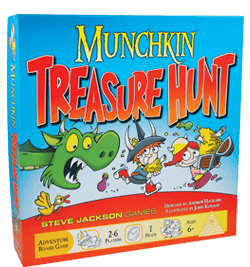 Munchkin Treasure Hunt has been in Toys ‘R’ Us stores across the country as of last Monday, and the reviews have been incredible. 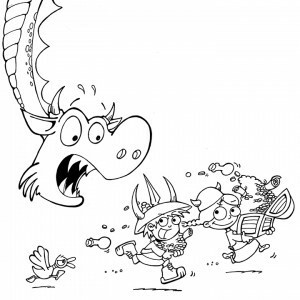 Re-imagining Munchkin for a 6+ audience was a thrill for this Dad of a Kindergarten-aged daughter, and I can’t wait to visit with Spyke Jr. and Florette again.